What Side Hustles are and how to make the most out of them! Side hustles are just a way for you to make some extra money whilst still keeping your normal job and having fun at the same time! If you only do it for the money, that is ok too but it will not make you happier at the same time! So try to find something that gets you going and then base your side hustles on that! Need inspiration? Have a look at my post on finding your passion. Answer the questions there honestly and it will guide you in the right direction. How to go about side hustles? I am a strong advocate of finding or creating side hustles which are inline with your interests. If you only do it for the money (standard definition of a side hustle), you might not enjoy it and it will be much harder to shine. Imagine how you would feel and perform if you actually got paid to do what you truly love! Based on what you enjoy doing, find yourself a side hustle within that field. If you checked out my post mentioned above, you should be pretty clear about what that would be for you. This means you can actually get paid to do what you love! Doing this will put money in the bank, health in your body, joy in your mind and a better quality of life! If you need more ideas and information, have a look at our Side Hustle Section. This area gives you loads of information and ideas to what sides hustles you could start to make you some extra money. Though I would first recommend you to set your goals so that you are clear about what you truly want. Secondly make sure you are in control over you finances, else it won’t matter how much money you make or have, it will never be enough. I recommend you to go through all the content we have in our Wealth Section. Start with the introduction and then read the post on The Language of Money – a language for life. This is the language every millionaire understands and uses to their advantage and so should you! My educational videos have been created with one purpose – to make them as simple and easily digested as possible allowing for everybody to understand then, and yes, even my mother understands them! 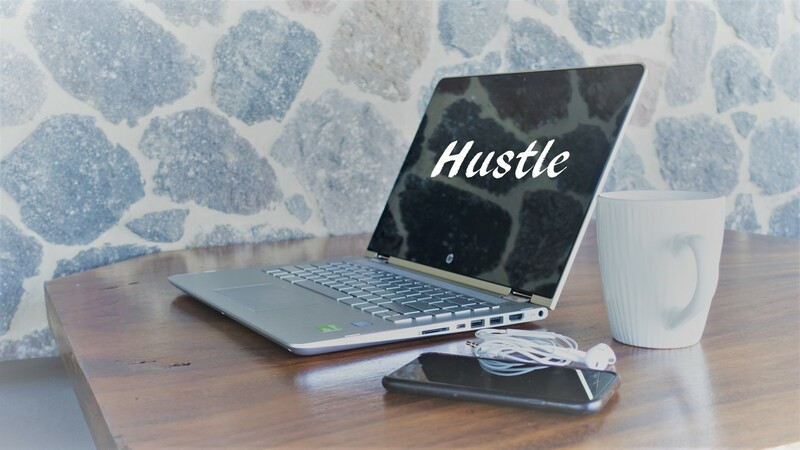 Once you know what you want and understand how to handle money in an effective way, side hustles might be a great way to get started on your journey towards your own money machine! How to make the most out of them? Use this opportunity to immerse yourself in your interests whilst getting paid at the same time! You might have to be a bit creative but if you really want to make some more money or getting paid to do what you love, I am sure you will find a way! Depending on what it is that you love to do, maybe this post will give you some inspiration and guidance on how to make money whilst educating yourself. Also check out this post on how to get ahead with No Extra Time (NET) After reading this one, you will realize that even the most boring (brain numbing) job on the planet can become the best job in the world! If I told you that you could be paid 8 hours per day to do what you really love, I bet you would be keen on knowing how. If you like most people like learning and growing as a person, this would for sure be for you. You will be paid. Only one small detail to add, you would have to hold (and use) a brush at the same time, how would that sound? Not bad, right? NET and your ability to go on autopilot will do the work for you but you will get the money whilst gaining the knowledge at the same time! Want to learn new things, spend more time with your mentors, learn a new language and get paid at the same time?? Continue reading this post and make the most of it! Let’s be honest, we all have the same amount of time, 24 hours per day, and how we use it is just based on our priorities. You have to be in control, else time will always be a stressful factor in your life. If you use some of the tools and techniques discussed on this platform, you will be in full control of your day and life, have great habits and discipline, know exactly what you want and how to get it! Take control over your day – read this post on how to be in full control – Daily Focus. Morning routines – a great way to create time for what you want, check out this post. Know exactly what you want – go through our Visions & Goals Section to become clear about your goals. Always use leverage – read this post on how to make things happen faster. Use the 80/20 rule – read this post and start applying it to your life to get more time. I am not saying you are not busy, what I am saying is that you have to take back control of your time and the above steps will help you do just that. They worked for me and so many others and once you are in control, you are the boss of your day and ultimately your life! Unless you take control….. I am sorry to say, you will always get what you have always gotten. For things to change, YOU have to change!